Press the mixture into a pie pan to make the crust. Boil plums down with water until they become a syrup. 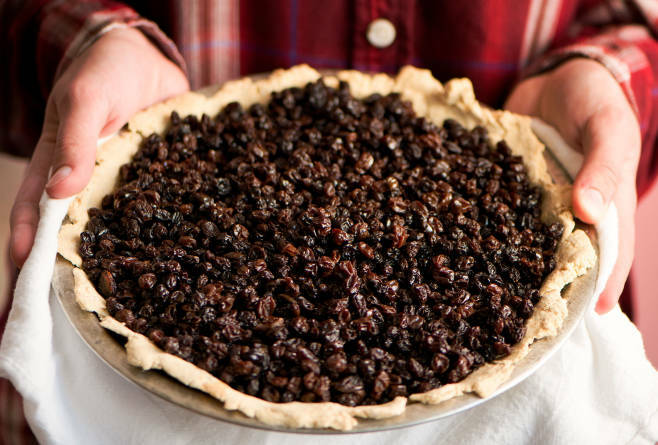 Mix currants and syrup and spread over the piecrust. Bake for 40 minutes. * Add water to make dough pliable. You will have enough to add a top crust. If desired, roll it, place over the top, pinch the edges together, and cut a few vents before baking.